Forthcoming Lecture: Who Cares About the History of Science? Home/Conferences, Symposia & Workshops, News, Seminars & Public Lectures, Uncategorized/Forthcoming Lecture: Who Cares About the History of Science? Science is a progressive enterprise, always focused on the future. So, why should anyone care about the past of science? 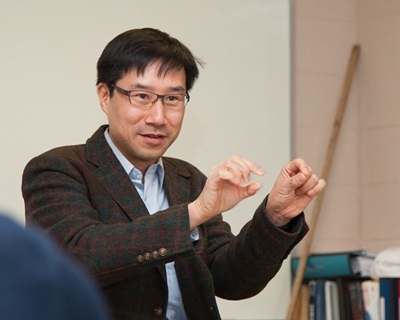 Professor Hasok Chang argues that the historical study of science has several important purposes that are often neglected by scientists and historians alike. These purposes concern scientific knowledge in itself, rather than its social contexts and roles. Learning about the radically different ways in which scientists have made sense of the universe over the ages can open our scientific minds, and help to raise our critical awareness. Recovering long-forgotten ideas and facts can be a real act of scientific learning, going beyond mere curiosity and antiquarianism. Discovering how scientists came to believe what they believe can deepen our understanding of present science. And thinking about earlier, simpler science can help us understand the nature of science even if we cannot master the formidable technicalities of modern science. This prize lecture is awarded for excellence in the the social, historical or philosophical exploration of science. It is delivered annually at the Royal Society in London and is accompanied by a medal and a gift of £2,000. This year’s lecture will be chaired by Professor Uta Frith. The lecture will be webcast live and a recorded video will be available on this webpage following the event. If you require BSL intepretation or StageText subtitling this must be booked 2 weeks in advance. By bshs-intern|2017-11-10T09:53:22+00:00April 7th, 2016|Conferences, Symposia & Workshops, News, Seminars & Public Lectures, Uncategorized|Comments Off on Forthcoming Lecture: Who Cares About the History of Science?